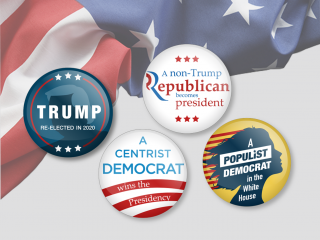 What are the bullish factors? The impact of the ongoing trade war between the US and China is becoming increasingly more evident when looking at Chinese economic data, with most indicators suggesting the industrial sector in the country is slowing down. Manufacturing PMI numbers have been in steady decline since May of this year, and October’s reading was the lowest since July 2016, coming in at 50.2, so barely an expansion in activity. October is always going to be lower though, given that Golden Week occurs in the month, and this week does see a considerable slowdown in manufacturing activity. The less constructive data doesn't stop here; new export orders have also been in steep decline, with the reading falling since May of this year. In fact between the months of June and October, the country actually saw a contraction in new export orders. These factors have also had an impact on industrial profit growth rates, with them having slowed in recent months. The bulls are pinning their hopes on a pick-up in Chinese infrastructure spending. The government has announced a number of stimulus packages, however, this has not fed through to a pick-up in fixed asset investment as of yet, with growth still fairly low. The longer this goes on, the more concerned the market will become over the effectiveness of Chinese stimulus. Looking ahead, further pressure could possibly come from the CNY. 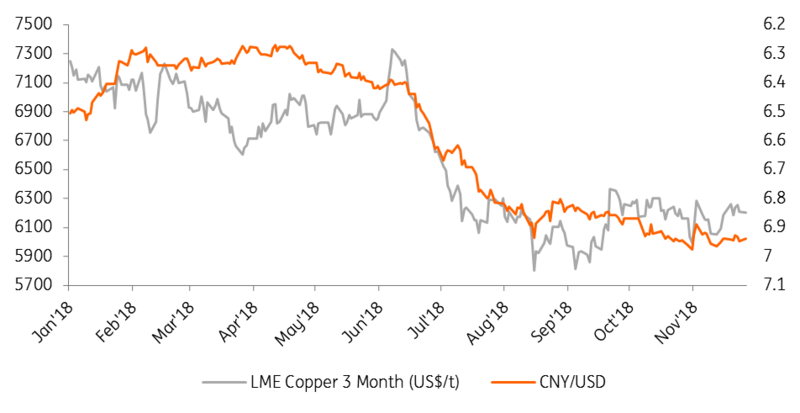 Copper prices have largely followed the CNY lower this year, and if this relationship continues to hold, it will be another obstacle in the way of copper prices trending higher. Our China economist is forecasting that the CNY will hit 7 to the USD by the end of this year, and then reach 7.30 by the end of 2019. 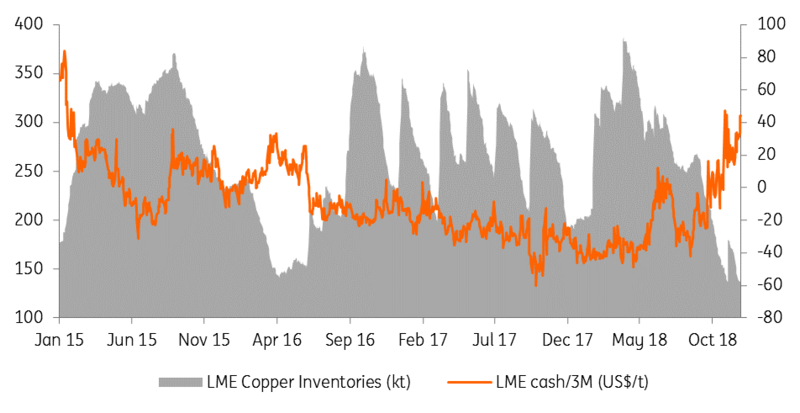 LME copper inventories continue to trend lower, with them standing at a little over 137kt, down from a recent peak of 388kt back in late March. In fact stocks in LME warehouses are at their lowest level since 2008. It is not just the LME where we have seen large stock drawdowns in recent months, Comex copper inventories currently stand at 140kt, down from 253kt in early May, whilst SHFE inventories in China stand at a little over 133kt, compared to 307kt at the end of March. Falling inventories have clearly led to a strengthening in spreads, with the LME copper cash/3M spread backwardation at $44/t, and has been as high as $47/t recently. What has helped tighten the prompt market in recent months has been strong Chinese buying. While economic data points towards a slowdown, copper import data tells a different story. 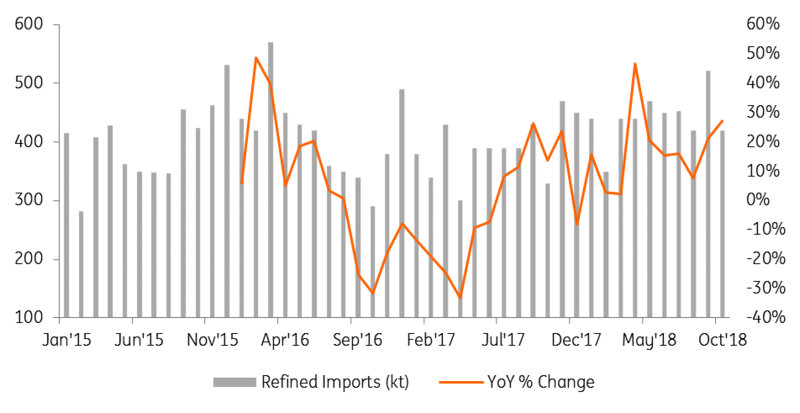 Refined copper imports remain strong, and imports in September reached 521kt, up 21% YoY and the largest monthly import volume seen since March 2016. While imports did low to 420kt in October, this was still 27% higher YoY. The strength in imports has unsurprisingly supported Chinese copper import premiums, and they were trading as high as US$120/t in September- levels last seen in 2015. More recently they have fallen back towards US$90/t. The big concern for the market is whether these strong imports actually reflect real consumption, or is there an element of stock building? The slowdown in Chinese manufacturing activity suggests there is an element of such building going on. Although the other driver behind stronger refined copper imports is the fact that China continues to crack down on waste metal imports into the country, a trend which will only increase moving into 2019. 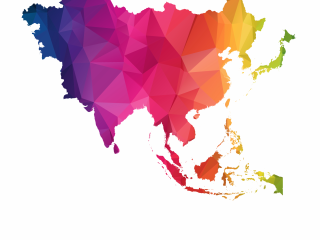 Recently we have also seen smelters and miners enter negotiations for annual treatment charges for 2019 volumes, and early numbers point towards small declines in annual contracts, with reports that a Chinese smelter has agreed on a treatment charge of US$80.80/t, down from US$82.25/t in 2018. While we continue to believe that the market is tightening, a large part of lower TCs appears to reflect the continued growth that we see in Chinese smelting capacity. In fact, at least in the spot market, the concentrate balance should not be as tight as initially expected, with a number of smelter outages around the globe. 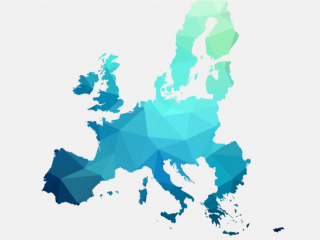 Trade fears and what this means for metals demand has certainly weighed on the complex, and given this uncertainty speculators are sitting on the sidelines. 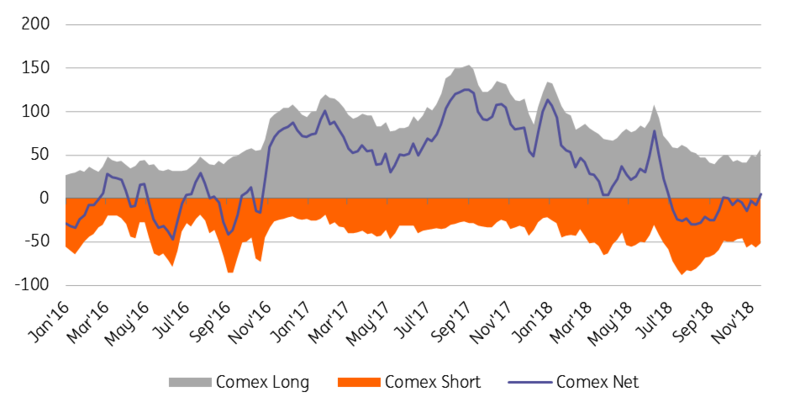 Money managers hold a fairly neutral position in COMEX copper, with latest CFTC data showing they hold a net long of 5,452 lots- quite some distance from the net long of over 100k lots that they held back at the start of the year. Any positive developments on trade talks do mean that speculators have plenty of room to increase their positioning. The immediate risk would be shorts having to run in to cover their position- latest data shows that the gross short stands at a little over 50k lots, off from a peak of 88k lots in the summer, but still quite a bit higher than levels seen over large parts of 2017.